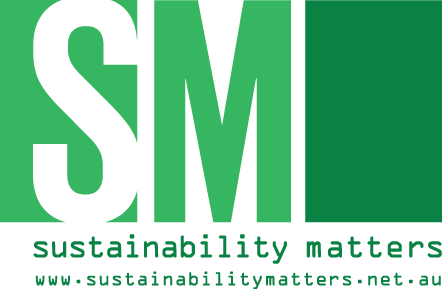 The current waste and recycling industry is generating informative and thought-provoking documentaries, conferences and news coverage — discussing its thoughts on the current industry issues. It really feels like a hot topic in Australian current affairs. Everyday Australians (and politicians) are constantly confronted by discussions surrounding the current opinions on global waste issues, the circular economy and recycling. From where I stand, it seems Australians want change to happen and to create a more productive and rewarding internal industry in their own backyard, but are lacking the catalyst to start the transition. Since I moved from Germany to Australia (graduating in materials science), I recently commenced my new role with STEINERT Australia based in Melbourne. Growing up in Germany, it was ‘normal’ to sort your household rubbish into four different bins and return plastic and glass bottles at collection points for refunds. It was the ‘done thing’ to bring your own re-usable bags for shopping. The word ‘landfill’ didn’t mean much as they don’t exist in Germany. My world knew ‘waste to energy’ as being an accepted and necessary alternative for waste recycling and where MRFs use the latest innovative technology to generate valuable product streams from waste… It’s a very different environment I’ve witnessed in the Australian landscape for the waste and recycling industry, and especially the waste-to-energy sector. It seems we may be just a little bit behind the ‘norm’ that has been happening in European countries for many years now. I am coming to understand the difficulties and barriers that exist for the Australian resource recovery sector. In my opinion, the main issue is coming from the deficient legislative policies to support and create a future for the waste industry. It was and is, now more than ever, the responsibility of the government to create drivers for markets for our own Australian waste and recycling sector, preventing unnecessary landfill, recycling and re-using products and, for what we can’t re-use, creating another much-needed energy source. I am speaking about nationwide policies to fuel the development of the industry. Further to this, the industries themselves require greater collaboration between each other. However, progress is already in sight as, for example, packaging and polymer manufacturers seek dialogue with recyclers to explore possibilities to move forward in the right direction collectively. I believe the industry is primed to take this next step and I am excited to be part of it. In modern sorting plants throughout Europe (and some in Australia), the ‘norm’ for pre-treatment of household waste is pre-crushing, bag opening, sieving, manual sorting and ballistics separation. STEINERT can offer solutions with next-stage processing using magnet and eddy current separation for metal recovery. This is followed by plastic separation using sensor-based technologies where materials are recovered. I am happy to say that STEINERT can offer both magnetic separation and sensor sorting solutions. Plastics — UniSort Black input. Plastics — UniSort Black output. As the Application Specialist for Resource Recovery at STEINERT Australia, one of my responsibilities is to coordinate the new test centre at our site in Bayswater, Melbourne. The STEINERT Victorian Test Centre will give customers the unique opportunity to test small and large sample material on our new sensor sorting equipment. 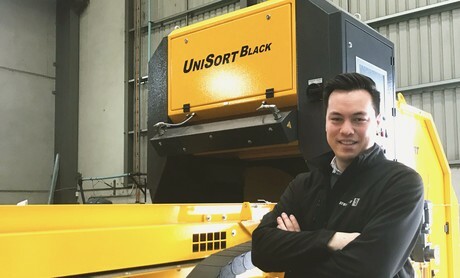 Here we can showcase the potential of the STEINERT sorting technology — using the STEINERT UniSort Black — on your own test material. We will provide you with competent and specific solutions for your material recovery task applying the latest findings and developments in sensor-based sorting. With this set-up using near-infrared (NIR) technology, our goal is to sort your plastics, RDF, paper and compost material from all commonly known contaminants such as metals, glass, plastics, black plastics, paper and wood. By upgrading your products, you can prevent unnecessary waste to landfill. Compost — UniSort Black input. Compost — UniSort Black output. We want to assist you with the next steps in creating a more productive and rewarding waste and recycling industry for Australia. It is clear that the industry is ready to transition towards a deeper processing line and ultimately a circular economy. I am determined to have a positive contribution to the development of Australia’s waste and recycling future. To find out more about our STEINERT Victorian Test Centre or make a booking, contact me on email: hefner@steinert.com.au.